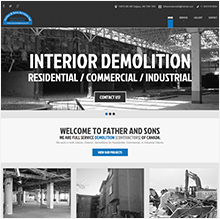 Father and Sons were in need of a simple website that generated lots of traffic and created qualified leads. 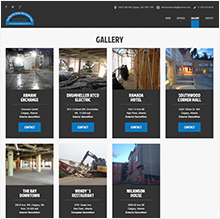 Red Cherry was able to do so in a short time frame and produced a website that ranks for all the desired keywords and creates revenue. 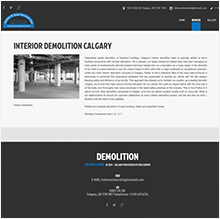 The website is fully responsive and renders on mobile, tablet and desktop. Targeting keywords are related to your business is the most cost effective method of marketing your business with the highest conversion rate. This is called inbound marketing and it has become the proven methodology for the information age. Very simple and clear calls to action deliver top level marketing messages. 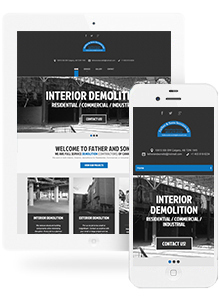 Responsive design means more leads and a higher conversion rate. Red Cherry helped father and sons break out there services so each one could be Search engine optimized. 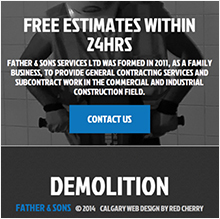 Wordpress CMS allows for Father and Sons to easily update any page on their website.